IS COMPETITIVE SAILING FOR YOU? The ocean is a dynamic and challenging environment. Once docklines are cast-off, you have your boat, your gear and your Team. Working as a unit, you develop strategy, execute tactics, set a course, trim for speed, stand your watch - always ready to adjust tactics at a moments notice to achieve your mission and win! Sound familiar? For safety, we will balance crews and ensure participants are up to the physical challenge. If you are motivated, we will work to accommodate! For those we cannot directly support, we will help find the right sailing program for you. All of us who have served have been through the bonding process required to make a combat ready team - that process instills in us something few understand . Some of us have been through it multiple times. Joining a new unit, being dropped into a class, reporting aboard, showing up at a qualification school, we have all been uncomfortable for a little while and then we hit our stride. We work together. We bond. We become a team- truly a Band of Brothers. Serving in a combat zone with your team only strengthens those bonds. For some, those that have shared the same piece of real estate during combat operations become closer to each other than family…. The Basics: Learn, Train, Race! REGATTAS: For each race, we will build a team of 5-15 (boat dependent), bring you together at the starting location, break the ice and integrate you into the team. Some events will have dedicated training, others you will join a performance crew and learn as you go. OFFSHORE RACES will require more safety training, navigation training, and offshore sailing miles as a crew. For these events crews will prepare and train together for the event, ensuring the team is ready. 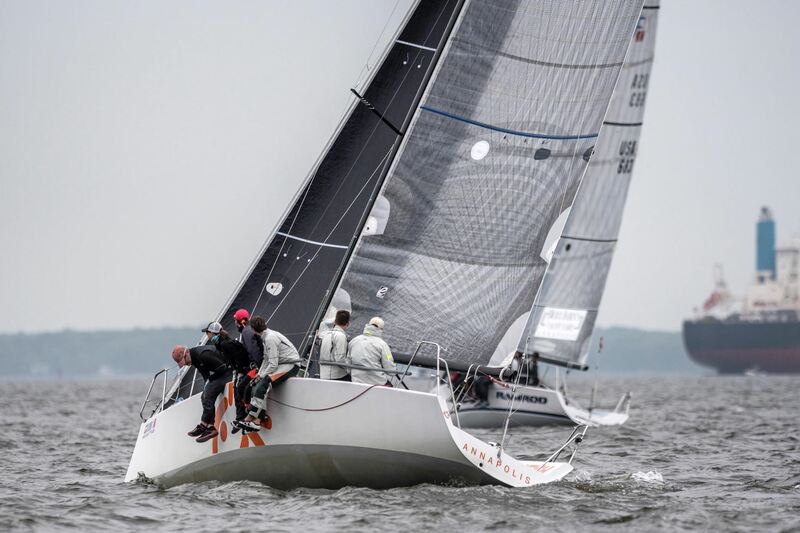 Three performance programs support racing in Annapolis and the Central Chesapeake Bay. Opportunities include weekday club racing, single day middle distance (10-40NM), overnight, and multi-day regattas around the bouys. 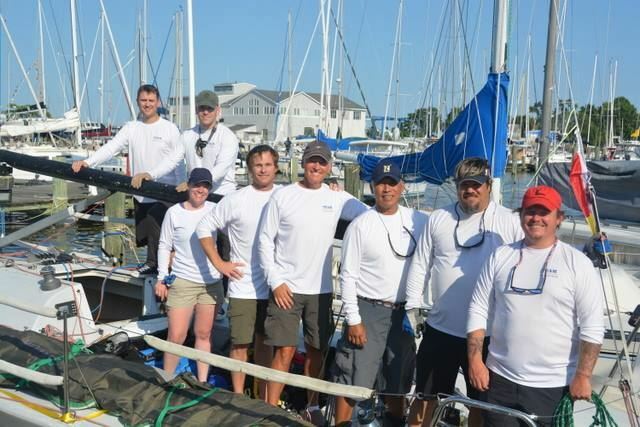 With the support of 10 Veteran skippers in the Norfolk/Virginia Beach area, we are excited to offer weekly sailing opportunities - evening racing on Wednesday and Thursday, Weekend Regattas, middle distance and overnights from April - Oct. During winter season Hampton Roads also hold instructional seminars and socials. Forming now! Come join the team. The chapter already has the support of a J105 sailboat and two B25 sportboats. Initial focus will be on local weekly racing and training.